BLOWOUT SALE! 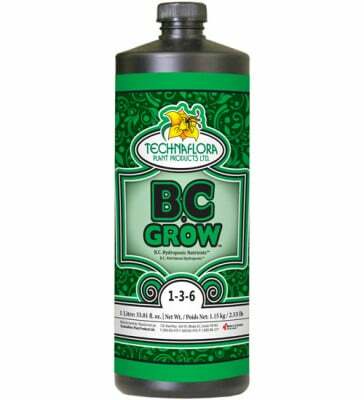 Technaflora BC Grow is a liquid fertilizer blend, which when used in conjunction with “B.C. 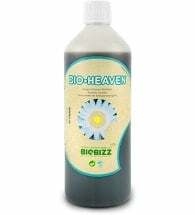 Boost” will provide essential elements to stimulate vegetative development and enhanced reproductive growth. This remarkable 3-part nutrient is easy to mix and control, with simple instructions printed on every label. 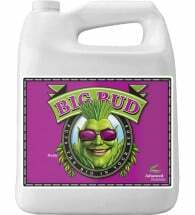 Vegetative: Use 2 tsp Boost and 1 tsp Grow per gallon of water. Always add B.C. Boost first. 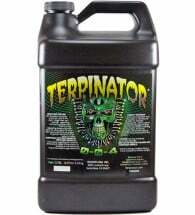 Ingredients: Potassium nitrate, magnesium sulfate, mono potassium phosphate, potassium sulfate, manganese sulfate, boric acid, zinc sulfate, copper sulfate and sodium molybdate.